11) What will you do about Obamacare? a) ObamaCare does not apply while living and traveling overseas. b) ObamaCare does not apply for domestic health coverage of 364 days or less. c) ObamaCare can be mostly diverted for domestic groups via self-funding. and they have included a few new plans for those who need international health and travel insurance. All the brochures, application and quoting / application links have a unique code which identifies the customer as a Brigada customer. ISA appreciates your referrals and they are dedicated to providing Brigada readers with prompt and professional insurance services. Thanks ISA!!! Use their policies to make sure you’ll always be prepared for those flights that cancel right in front of your eyes. This past week, we received a freewill offering of $10 from a reader who cared, plus ISA sent $15.56 as a way of saying thanks for referring clients to their DayTripper insurance coverage. The cool part is, you get a great policy at a great price and they still help Brigada too! For more info about the Daytripper policy, visit, …. Are you having a hard time finding affordable health insurance here in the US? Have you recently become unemployed? Have you just recently returned to the US from overseas and without insurance? If so, be sure to contact Insurance Services of America and ask for their short-term major medical plan. ISA is a Christian organization that specializes in helping individuals and groups find affordable health insurance options. In the past you have seen listings on Brigada for their fantastic international plans – now they can help you while you are inside the US as well! or call them at 1-800-647-4589 (1-480-821-9052 outside of North America) and ask for Mark. Not only will you be able to get affordable short-term medical coverage, but ISA has agreed to help support Brigada from sales that are made on this link. or call them at 1-800-647-4589 (1-480-821-9052 outside of North America) and ask for Mark. BTW, they have agreed to help support Brigada from sales that are made on this link, so when you purchase on this site, protecting yourself and your ministry from financial loss, you will be helping to support Brigada! 14) It all Adds Up! Thanks, too, for the $5 gift from a dedicated Brigada participant in Beulah, MI and $15 from another reader in Cambridge, MN (Bless you!). 2) Going on a short-term mission trip this Spring? you will be helping to support Brigada and protecting yourself and your ministry from financial loss! In addition to this plan, coverage is available for any international need – individual short-term trips, career missionaries, trip cancellation, short-term teams and term life insurance. At their site, check out their coverage details, rates. you will be helping to support Brigada! In addition to this plan, coverage is available for any international need – individual short-term trips, career missionaries, trip cancellation, short-term teams and term life insurance. For coverage details, rates and the online applications of the Brigada sponsored plans, check ’em out. Is your organization experiencing health insurance rate increases? Do you want to help support Brigada? If so, be sure to contact Insurance Services of America. They are a Christian organization that specializes in helping individuals and groups find affordable health insurance options. They can put together a “tailor-made” plan to fit your group’s needs. Their group plan allows for takeover of existing claims & conditions and will provide your people with quality medical insurance worldwide – and they won’t charge you more when your people are in the US on furlough! or call them at 1-800-647-4589 (1-480-821-9052 outside of North America) and ask for Mark. ISA has a wide range of plans for missionaries, mission groups and churches, so be sure to contact them to see how they can “shop around” for you to help you save money on your health insurance needs. Plus they have agreed to help support Brigada from sales that are made on this link, so when you purchase on this site you will be helping to support Brigada and you will be protecting yourself and your ministry from financial loss! Insurance Services of America has agreed to help support Brigada from sales that are made on this link, so when you purchase on this site you will be helping to support Brigada and you will be protecting yourself and your ministry from financial loss! Is your organization experiencing rate increases on your short-term travel medical insurance? Do you want to help support Brigada? If so, be sure to contact Insurance Services of America. They are a Christian organization that specializes in helping individuals and groups find affordable health insurance options. They can put together a “tailor-made” plan to fit your group’s needs. You will be surprised at how low their prices are, how good the coverage is and how easy it is to set up an online enrollment system for your organization! If so, be sure to contact Insurance Services of America and ask for their “Amigo” short-term major medical plan. 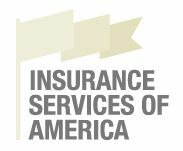 ISA is a Christian organization that specializes in helping individuals and groups find affordable health insurance options. In the past you have seen listings on Brigada for their fantastic international plans – now they can help you while you are inside the US as well! or call them at 1-800-647-4589 (1-480-821-9052 outside of North America) and ask for Mark. Not only will you be able to get affordable short-term medical coverage, but ISA has agreed to help support Brigada from sales that are made on this link; so when you purchase on this site you will be helping to support Brigada and you will be protecting yourself from financial loss!